How your car handles and functions is determined by how well fuel runs through its propulsion system. Fuel injection services ensure that your car’s propulsion system is efficient and allows your car to achieve its maximum power and be effective in its functions. Is fuel system cleaning worth it? Is a fuel injection service necessary? How do I know if my fuel injectors are dirty? Fuel injection is a system that delivers gas into car engines through direct and precise amounts required at that particular time. It goes way back to the ’80s when auto manufacturers achieved this innovation. It replaced carburetors as the mode of delivering gas into engines. For efficient combustion to occur in your family ride, it’s important that the appropriate amounts of air and fuel are passed through the engines. Direct injection serves diesel-powered vehicles. It’s the process in which diesel fuel is injected directly into the combustion chamber that holds the air. That’s because this fuel takes longer to evaporate. Indirect injection is a feature mainly on petrol driven cars. Unlike direct injection, indirect injection takes place when fuel gets injected into the inlet port where and mixes with air before for combustion. Combustion produces carbon dioxide. Over time, carbon dioxide builds up in your injectors. This results in poor handling of the car in terms of acceleration, poor fuel economy and other changes that are significantly noticeable with time. To eliminate these effects and regain the original power of your car, a fuel injection service is necessary. A fuel injection service is a service to clean the fuel injectors off the already built up carbon dioxide deposits. Fuel injection is more or less a basic cleaning service. Its main objective is unclogging the fuel system and restoring the car to its initial state of response and handling. For the most effective service, it’s necessary that you have it done by a professional. Also, ensure that your entire engine gets serviced because the issue might not be related to combustion or delivery systems. A fuel injection service is necessary after every two years of using your car or having covered over 60,000 miles. Different auto shops may recommend that you have it sooner, but unless these conditions are met, then it isn’t urgent. Professional injections service providers use special tools that inject fuel system cleaners. This type of cleaner is a fuel-based detergent that’s injected into the system to dissolve all carbon monoxide build ups in the fuel system. If there are any insoluble debris in your fuel system, all you need is a pressure cleaning on the injectors. You’ll instantly notice how your car hits the road with renewed vigor and strength. Fuel system cleaning is totally worth it. It ensures that combustion in your car’s engine takes place efficiently. In addition, it’s only worth it if your car really needs it. Getting it done after covering just 5,000 miles or less is really a waste of time and money. A fuel system consists of different parts that ensure the functionality of your car. These parts include the injectors, fuel tank, pump, and lines ensure that your car receives the power required to function properly. Failure to service these fuel system components regularly is likely to lead to a stalled car. The most efficient way to service them is through fuel system cleaning. It ensures that the car uses its fuel efficiently for the best functionality of the car. When water and gasoline mix, combustion cannot take place effectively. This will sometimes produce the knocking sound and causes your car to produce toxic fumes. Cleaning your fuel system ensures that all the water in the system is dried up. You can show up to a business meeting confidently without worrying about any embarrassing clouds of dark smoke trailing your car. Fuel system cleaning ensures that different parts components such as your injectors, rings, and valves are well lubricated. Doing this ensures that your engine functions properly. Plus, fuel injection into the combustion chambers takes place efficiently and. your car responds well. Drivers also benefit from driving at optimum power. Lubrication also reduces the chances of corrosion occurring in your fuel system, which often leads to complicated engine problems. When your fuel system is clean, your car combusts every drop in the tank. This means that you’ll cover more mileage for every liter of fuel you use than before when your system was clogged. This helps you save money and enjoy driving your car every time you drive. With proper combustion taking place in your engine, the effect of pollution on the environment gets reduced drastically. Your car no longer produces soot-filled emissions that are a sign of carbon build up in your fuel system. When your car’s fuel system is clogged, your engine has to strain to compensate for the required power. Once it’s cleaned, the engine regains its original power. This helps improve how well the car handles when driving. Acceleration is better and the overall driving experience is improved tremendously. Well-lubricated systems run for thousands of miles with reduced levels of friction which results in less wear and tear. Regular car service coupled with a fuel system cleaning ensures that you get the most out of your engine components in terms of durability. As a result, you can drive the car for a while as you save up for an upgrade. The necessity of a fuel injection service depends on the car owner and their professional technician. The final decision though, lies with you, the owner. Many car manufacturers often indicate in the owner’s manual the number of miles that the car should travel before it undergoes a fuel injection service. Professional mechanics and technicians will recommend a fuel injection service when you take your car for normal service or oil change. Always be sure of the instructions on the owner’s manual otherwise the fuel injection service will be unnecessary. Most types of gasoline in the market contain detergents. These detergents clean the fuel system as you drive. They ensure that your system does not clog up with debris, carbon mounds, and soot. Car manufacturers recommend that their customers use renowned premium gasoline brands. This is because premium gasoline has more detergent compared to regular fuel. That’s why it cleans your engine more effectively. Besides gasoline, easily available car fuel cleaner additives are still good to clean the car engines if you do not use premium gasoline. The use of gasoline with higher detergent levels or fuel cleaner additives, then renders a fuel injection service unnecessary. Knocking sounds, poor acceleration, over-consumption of gas are some of the problems that indicate a clogged fuel system. These problems are an indicator that your car needs a fuel injection service. Dirty fuel injectors are usually clogged with carbon and other debris that collect on the fuel system as a result of interaction with the environment. Prolonged use of your car without cleaning the fuel injector system leads to major handling and engine problems that will cost you a lot of money and time. To avoid that, here are some of the symptoms of a dirty fuel injector system. When your fuel system gets clogged, your engine experiences a major loss of power. You’ll notice that your car doesn’t accelerate as fast and you can’t overtake where you need to. In addition, it might produce misfiring noises. On most mornings, you’ll notice how it’s becoming increasingly difficult to start your car. After a few years of driving the same car, you will notice that you are spending more on gas than you used to. This is a major sign of a dirty injector system. When your engine loses power, it requires more fuel to function. Having your fuel injector system cleaned will help improve or regain the original fuel efficiency that the car used to have. The check engine light is designed to help drivers notice a problem with the engine as soon as it occurs. Fuel injection systems direct well-combusted fuel to the engine which gives it the power to propel the car. When the fuel that’s getting to the engine is insufficient due to dirt, the check engine lights up to indicate a problem. If the check engine light is on and you cannot easily diagnose the problem it represents, drive to the nearest auto repair shop. Get your car checked by a professional who is better equipped to diagnose it. When your car produces fuel odors, this indicates inefficient combustion taking place in your fuel combustion chambers. This leads to the injection of fuel that’s not properly mixed with air. Rather than producing a fine odorless mist, your car emits smelly smoke. Have your car checked as soon as you notice the smell as it may also be an indication of another problem with your car. When your car has a clogged fuel system, it pollutes the environment through the dark and smelly smoke that it emits due to inefficient combustion. When a car’s system is clean and efficient, it produces clear misty droplets of water that have no smell. This is an indication of proper fuel injection and combustion in the engine. Deviation from this is an indication of a dirty fuel injector that needs your urgent attention. Should you get a new car? Is your key broken in the lock? As more and more dirt accumulates in your injection system, your car may eventually stall. This is usually a culmination of minor problems as indicated above that are ignored. At this point, you can no longer ignore the fact that your car has a problem. This can only be solved by having your car towed to a professional auto shop where it will be serviced to ensure that it is back on the road. Stalling pulls you back because you have to source for a quick means of transport while waiting for your car. So, you’ll definitely dig deeper into your pockets since this service isn’t covered by auto insurance companies. 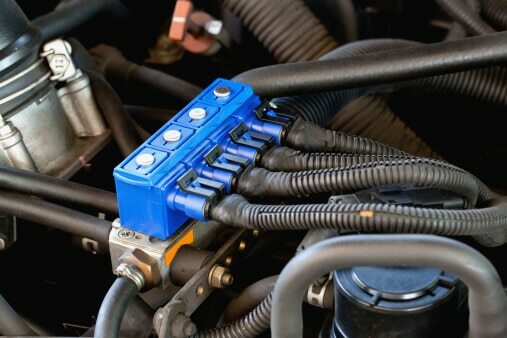 A fuel injection service is an important part of car service. Through it, cars are able to burn fuel efficiently enabling their proper functionality. The good news is that it’s readily available near you. We’ve seen that the best time to take your car for fuel injection service is after 60,000 miles. However, if you drive a compact car, you may need it done sooner. Make sure you consult your manual to avoid wasting money. Since it is a cleaning service for the fuel injection system, car manufacturers recommend the use of top tier gasoline, which contains detergents that clean the injection system as the car, is in use. On the other hand, professional mechanics are at hand to help those who find their cars affected by clogged fuel systems.